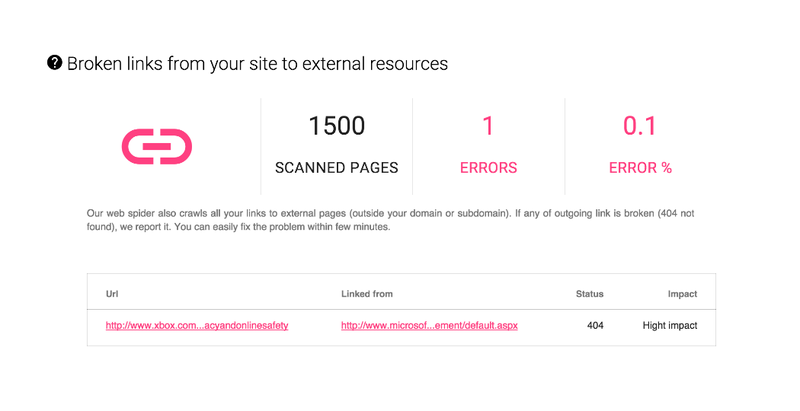 We scan your site and provide a broken links report within a few minutes. The report is generated directly on our website without installing and running any additional program files. We scan up to 3000 site links for free. Additionally, we analyze which error 404 links are indexed by search engines, as well as which of them have other references (backlinks). In addition to site internal links check, we analyze the external links availability. If the site contains at least one external link (nofollow or dofollow) with 404 error, we show it in the report. The report will contain link to page on which 404 error was found, so you can make a quick fix. 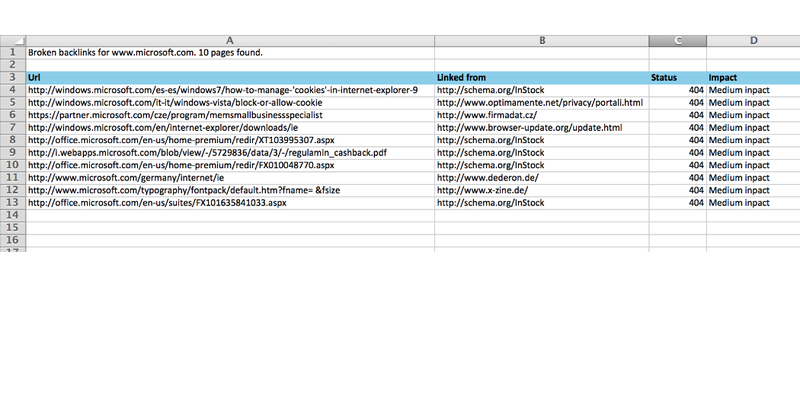 We check all the links from referring to your site third-party resources (backlinks). If any of these links contain a 404 error, we will display them in a report. This test is very important for your site, because the presence of a dead backlinks may negatively affect the search results. We recommend you to correct these errors as soon as possible. Broken links, missing images, css, java script and redirects. and redirects on your site. If any of these item contain a 404 error, we will display them in a report. We recommend you to correct the content as soon as possible. You get a report and want to keep the result to analyze it later or share with co-workers? 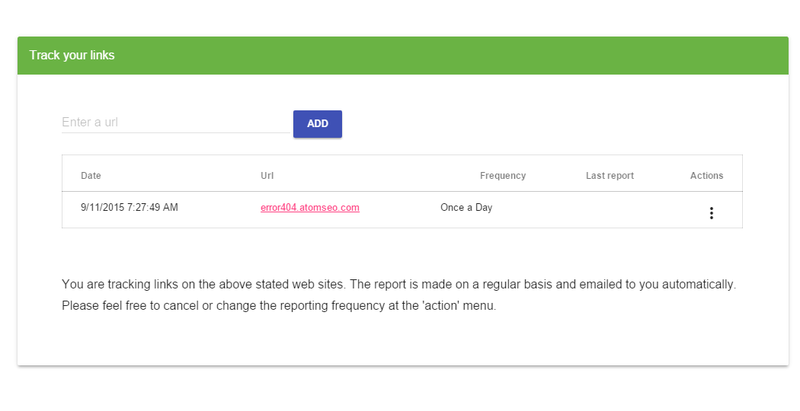 You can quickly upload report and send it to any number of emails for free. We will check on the status of the link daily. If the link is down, we will drop you an email so you can take immediate action. Monitor your history and analytics, determine which errors were fixed to grow your business. 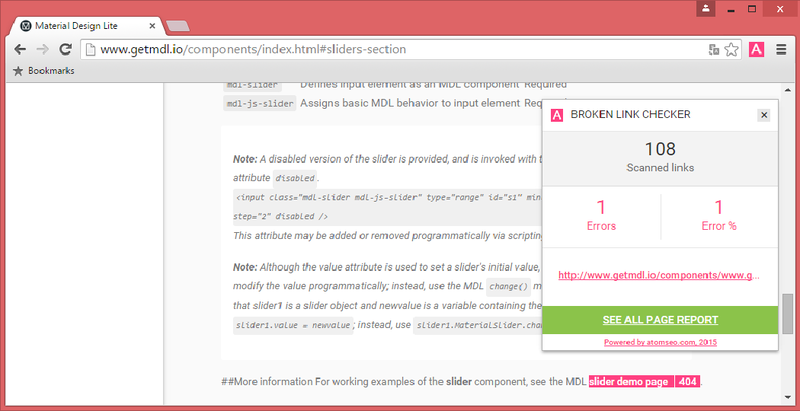 'Broken Link Checker' is a chrome extension developed primarily for web designers, developers and content editors. 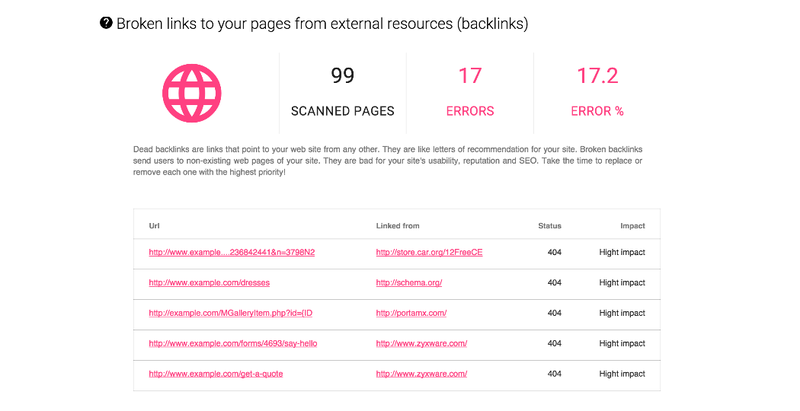 'Broken Link Checker' scan your page and provide a broken links report within a few minutes. The report is generated directly without installing and running any additional program files. 'Broken Link Checker' highlights which links are live and which ones are broken. 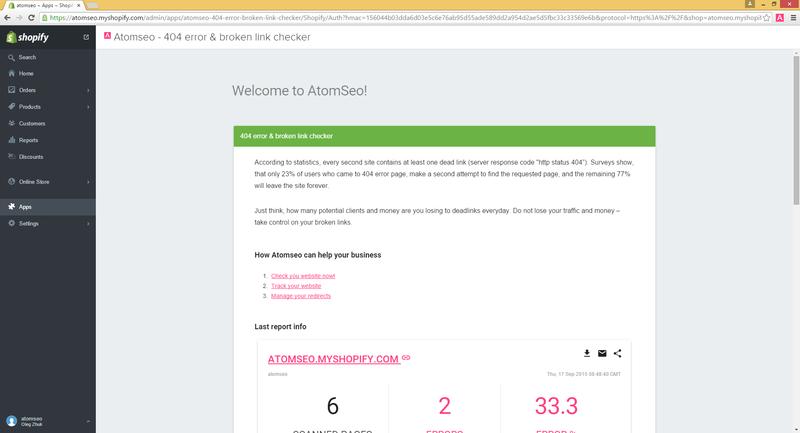 Visit Broken Link Checker in Chrome Web Store. Preventing potential lost sales for clients using outdated and dead links. Improving search engine visibility ranking by checking your backlinks health. 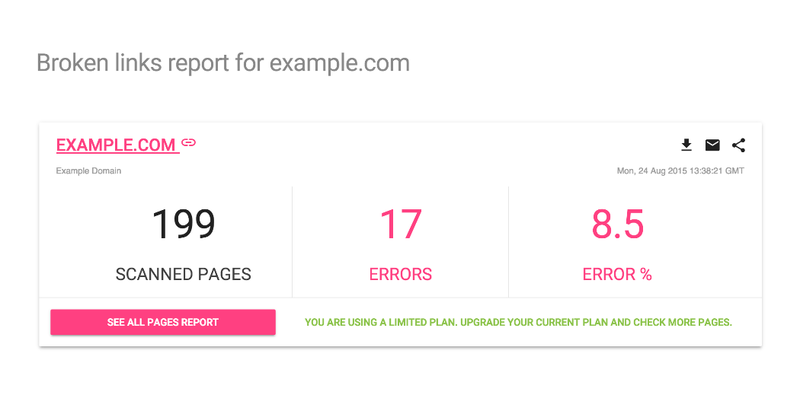 Quickly detecting all your broken and dead pages in a real-time, including broken backlinks. 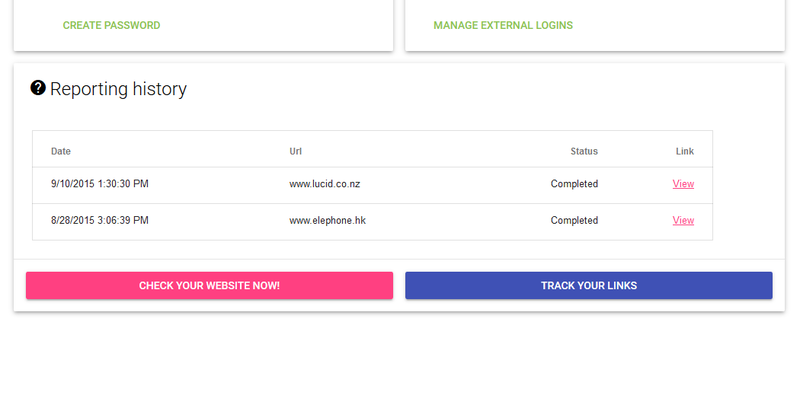 Get Broken Link Checker in Shopify App Store.